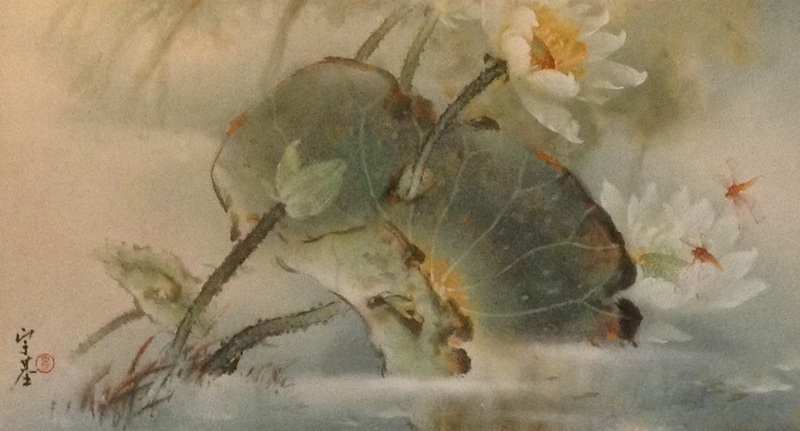 Chinese Inks on Paper with Silk Matt, 27.75" x 48"
Maintaining all of the beauty of traditional Chinese brush work, Henry Wo has allowed some Japanese and Western influence to subtlety seep into his work. Not a great jump but a gradual blending of the East and West which combine the best of all possible worlds. 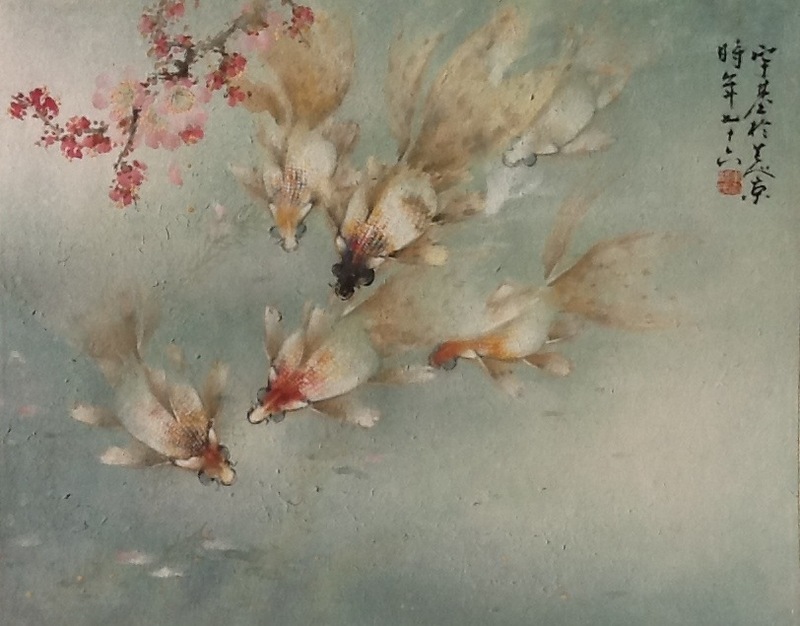 His watercolors containing the poetry and exquisite techniques of the Chinese with a gleam of outside influence, have created a fine international art while maintaining a strong Oriental flavor. .......A favored definition of poetry is "Emotion remembered in tranquillity” and the work of Henry Wo fits this definition in every respect. Known international as “Poet in Paint”, Wo does not paint directly from his subjects, but after observing nature with a keen eye and the soul of an artist, he returns to his studio and days, weeks or even months later he paints the poetic recollection of his former visual and sensual experiences. And so with great free washes, delicate lines, a fine color sense and a heritage of Oriental brush work, he paints his poetic watercolors that are not only exquisite on first observation, but so very easy to live with. 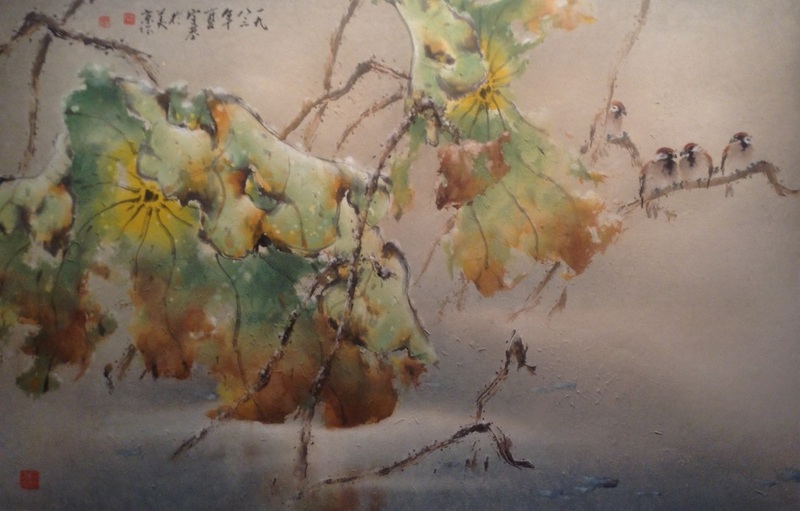 Mr. Hydeman has spent sixteen years in the Orient collecting contemporary Chinese watercolors. His collection has been shown in many museums throughout the United States and his opinions & criticisms are highly respected by Chinese professors of Art. Chinese Inks on Paper with Silk Matt, 22" x 28" Chinese Inks on Paper with Silk Matt, 22" x 28"